Britain's first female doctor, the first female President of the Royal College of Surgeons and the first black woman to play for England Women's cricket team are among 12 exceptional women to be celebrated in a new UCL art project called 'Female Firsts'. Launching to honour International Women's Day, the exhibition forms part of UCL's year-long celebrations marking the 100th anniversary of women receiving the right to vote. 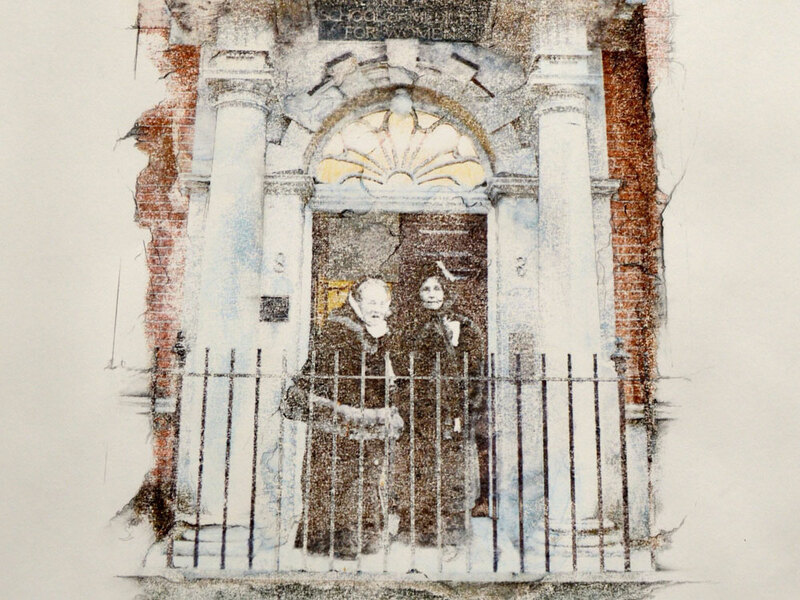 UCL Artist-in-Residence, Kristina Clackson Bonnington, has been commissioned to create 12 contemporary art works about these extraordinary women, who all have a UCL connection, using a lab-based technique which combines chemicals with ink to burn images onto surfaces. Clackson Bonnington's practice reveals how power is encoded in buildings and environments, particularly with reference to the history of social inequalities. She will depict the women at selected doorways to emphasise the avenues they have opened in their lives and work. Clackson Bonnington said: "It is an enormous privilege to be working on 'Female Firsts'. The stories of these 12 women, who were all individually pioneering and progressive in their fields makes it easier to appreciate the struggle and progress that has been made towards achieving gender equality. Since women were first granted the vote in 1918, door after door has been opened, but there are still so many public roles yet to be filled by women." • Professor Ann Oakley, the distinguished British sociologist and feminist who set up the Social Science Research Unit at the UCL Institute of Education. Clackson Bonnington added: "Projects such as this can be a catalyst for social change and I hope that the thousands of people who regularly walk past this prominent exhibition space in the South Cloisters will be struck by what they see. Putting the remarkable efforts of these women at the heart of UCL's campus is an opportunity to encourage this wonderful community to create a more equal society where more female firsts are recognised and achieved." Dame Marx said: "I am so aware of the extraordinary resolve of those who brought about the changes which ushered in the right of some women to vote 100 years ago. I am grateful for their fortitude and leadership and their example inspires us to stand up and engage in the challenges of today's world." Professor Oakley, agreed, saying "women are citizens, so denying them the vote for so long was absurd." Rainford Brent said: "For women it should be a point of reflection. Modern day seems to move so fast and milestones like these are times to stop and reflect but also get excited about the potential future for women. Of course, there is still plenty more to do!" Judith Stephenson, Professor of Reproductive and Sexual Health (UCL Institute for Women's Health) who is facilitating "Female Firsts" said: "By portraying 12 very different women within a theme of doorways, Kristina's work brings home the importance of access and education in changing people's lives and promoting gender equality." 'Female Firsts', which was developed from a previous UCL and Clackson Bonnington collaboration called House of Doors, will be on display in the South Cloisters from 12 March 2018. Every three months three new art works will be added, culminating with the 12 works shown in their entirety in December. The final exhibition in December will coincide with the centenary of the first time women in the UK voted in a general election, which took place on 14 December 1918. The South Cloisters are located in the Wilkins Building of UCL, located on Gower Street WC1E 6BT.